The first half of the National Elite Basketball League regular season is officially in the books, and the sedond half got underway this past Friday night, March 28, when the Belize City (Smart) No Limit Soldiers clashed with the Orange Walk Running Rebels inside the Orange Walk Multipurpose Complex. This match-up was intense and exciting from start to finish, as neither team was able to accumulate a double digit lead at any point in the game. The largest advantage for the Running Rebels was 6 points, while the biggest lead for the Soldiers was 7. It was a close game throughout the entire 40 minutes, with 14 lead changes and 18 ties. The game was tight until the very end, and with the score knotted at 74 apiece with 30 seconds on the clock in the 4th and final quarter, the No Limit Soldiers made a mental error, committing a defensive foul to send a Running Rebel to the charity stripe to shoot 2. As he stepped to the line, the silence was deafening, as every Running Rebel fan was on the edge of their seats praying that he could hit at least one to give the home side the lead with mere seconds remaining in the game. The first shot went up, it looked good as it approached the rim, but it rimmed out. And with the score still tied at 74, he released the 2nd free throw. It was all net, and as the ball exited the bottom the crowd erupted, as the Rebels were now in front 75 to 74. The Soldiers had seconds to make a play with no timeouts remaining. They immediately got the ball in the hands of their captain, Greg “Chippy” Rudon. The Rebels were frantic in their defense, and in their panic they fouled Rudon. The “Chip Dawg” stepped to the line, and with his team down 75 to 74, made good on the first shot, hitting nothing but the bottom of the net. The game is now tied, 75 to 75, and with 28 seconds remaining in the contest and ice water in his veins, Greg Rudon hit the second foul shot, all net, to give the Belize City No Limit Soldiers a 76 to 75 lead. That second foul shot proved to be the game winner, as the scoreboard would remain unchanged when the final buzzer sounded. Akeem Trapp was hot from the land of 3 for the Soldiers, hitting 4 from behind the arc on his way to a game high 23 points. And the Captain, Greg “Chippy” Rudon put up 18 in the big No Limit victory. 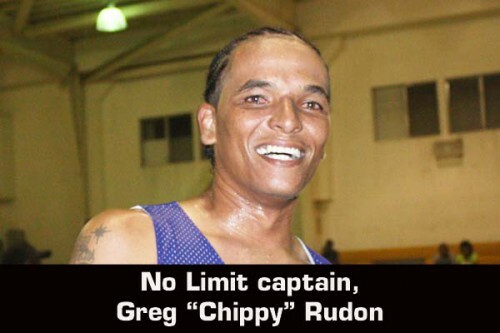 The No Limit Soldiers will now look to focus their attention on the Corozal Heats, as they face each other for the second time this Friday night at Bird’s Isle in Belize City.